This Standoff System is Affordable! 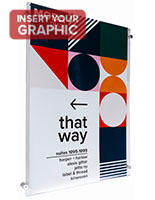 Browse this Online Catalog for Hundreds of Other Advertising Display Products! Most in Stock Items Including this Standoff System will Ship Fast from this Supplier! 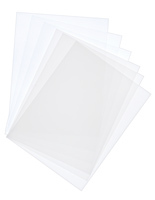 18" x 24" 20" x 30" 22" x 28" 24" x 36"
Clear acrylic fold-over panel is equipped with magnets for keeping the top closed. (4) aluminum edge-grip standoffs with a satin silver anodized finish are including for wall mounting. 8-1/2" x 11" Posters easily slide into the top loading frame. This standoff system is made for standard printer paper size. 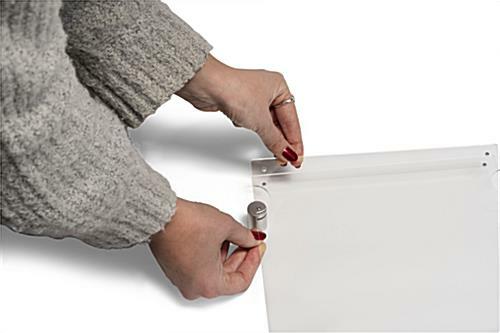 The top of each acrylic panel has two small magnets, one on each end to hold the unit closed. This standoff system, called a sign frame, is not made for horizontal format. Any 8-1/2" x 11" print will fit in this holder in vertical layout. This standoff system is a great marketing tool for any business. 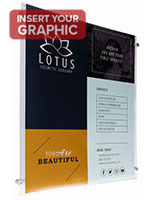 These acrylic frames can display flyers for sales, certifications, menus, and much more. Some of the many types of businesses that use this standoff system are retail stores, restaurants, and spas. Each standoff system hangs easily on the wall. See the instructions below for details on how to mount the unit. Each standoff system is made for easy updates. 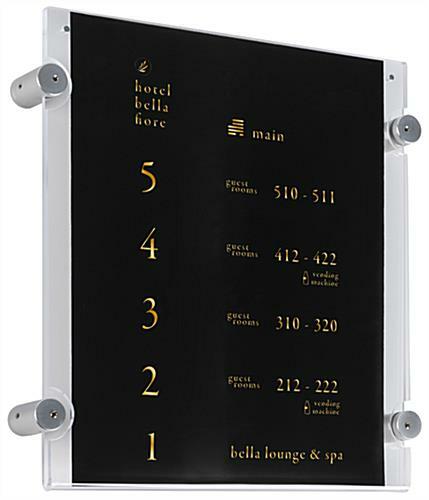 Users can swap the signage without the hassle of taking the unit off the wall. 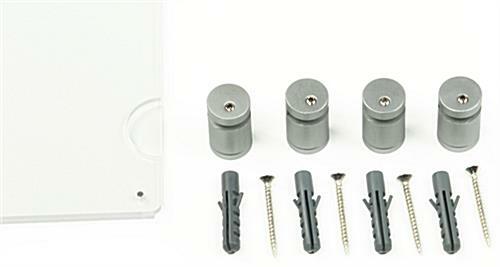 These print holders come with all the hardware needed for mounting on a wall. This standoff system is for business use; however they also work great in offices with documents. Each display is economically priced for all businesses, small and large. 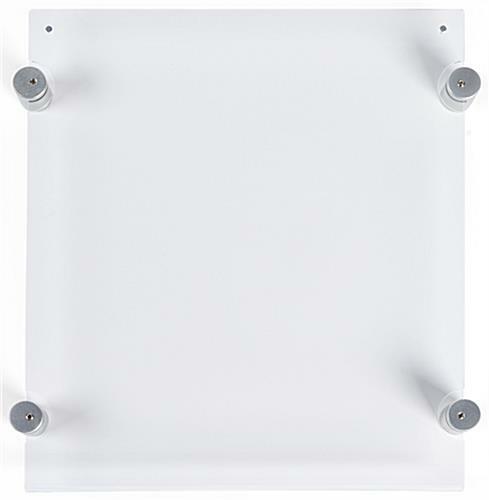 In addition, this sign holder is a standoff system that can be purchased in large quantities at an additional savings. 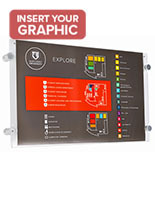 Each poster display is designed for ease of use. 9.8" x 11.1" x 1.3"